Women's Original Tour Tall Rain Boots is rated 4.3 out of 5 by 440. Rated 5 out of 5 by Jazmine from Lasted me 6 years! I invested in these boots over off brand boots because I found myself buying new rain boots every spring. Let me tell you, these boots lasted through college, 3 years of snow in Maryland, and 3 years of rain in Texas! Was very sad to see them go but I am on to my next pair! Rated 2 out of 5 by Ashf from Love this shoes but they broke!! These shoes are super great but the rubber slit on the side of the foot after a year of owning them and wearing them less than 15 times. So upsetting because these shoes are so comfortable and beautiful. Not worth the money. Rated 5 out of 5 by ldel98 from Great for Petite Women For reference, I am 5'0" and roughly 98 lbs. 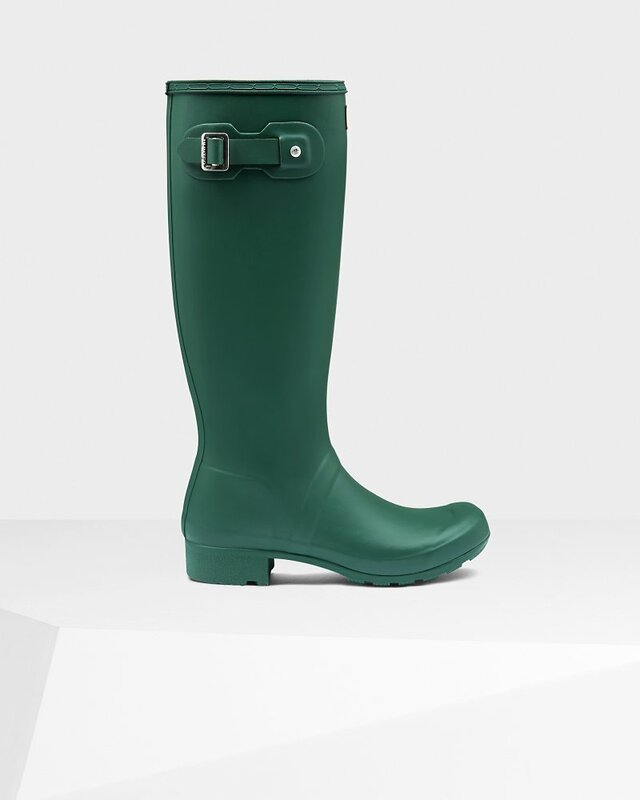 I have always wanted hunter boots but did not want to buy the kids ones. These are a great alternative for me and fit perfectly. Very comfortable and does not hit my knee at all. Cannot wait to buy another pair! Only downside would be the buckle on the side is a bit loose and comes undone sometimes. But not a major issue. Rated 5 out of 5 by ALMITABONITA from Comfortable I'm wearing these boots all day and are extremely comfortable, and stylish as well. Rated 5 out of 5 by UrbanYogini from Great quality These were purchased as a Christmas gift and my daughter absolutely loves them. They are high quality, stylish and sturdy. No regrets with the purchase. Rated 5 out of 5 by Landre321 from Perfect They are perfect fit, comfy and so beautiful. I love them. Rated 5 out of 5 by Angelfrombrooklyn from Well Made! A gift for my daughter. Very stylish, well made! she loves them.